Deal: Save $500 on this 82-inch 4K Samsung QLED Smart TV (2018 model)! If you're looking to get a really big TV for Super Bowl LIII, you have to check out the latest eBay deal. You can grab a brand new, 82-inch Samsung QLED Smart TV at a bargain price. This model has recently seen a price cut at Samsung's official store and other major retailers like Best Buy. However, the current MSRP in most places stands at $3,000. If you choose to get one through eBay's daily deal, you can save a further $500 and get one for $2,500. Keep in mind that the deal will expire soon, as more than 80% of the TVs have been sold already. This 6-series Samsung TV boasts a 4K QLED panel. 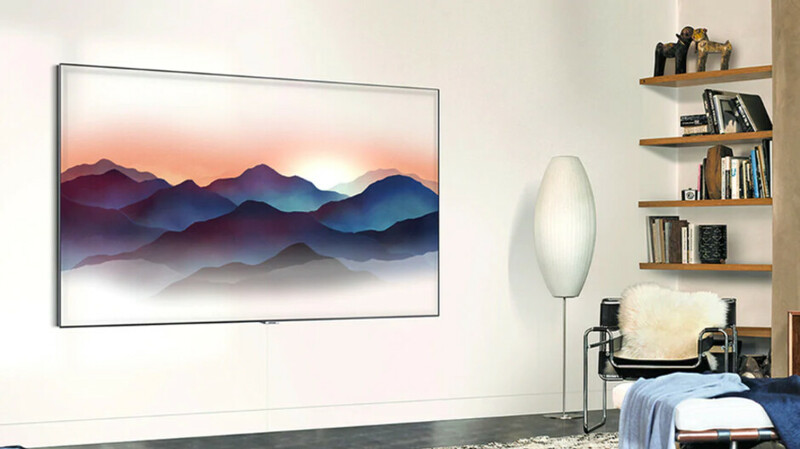 QLED TVs are arguably slightly better than standard OLEDs due to their superior brightness levels and longevity. Other notable features include QHDR, Q Contrast, Ambient Mode (mimics your wall pattern for an interesting visual effect when you're not watching TV), two speakers and woofer that total 40W of power, Dolby Digital Plus, and DTS Premium Sound. Smart features include Bixby Voice, a full web browser, access to Samsung Smart Hub & apps, and so on. Shipping is free, and there's a standard 1-year warranty on board. If this deal interests you, feel free to follow the above link to eBay. As we mentioned earlier, the deal is likely to expire soon, so act fast if you're interested. Awesome TV, bought the 75" model in summer and also Apple TV4K, perfect combination.